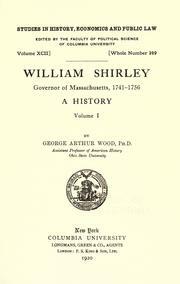 1 edition of William Shirley found in the catalog. Add another edition? 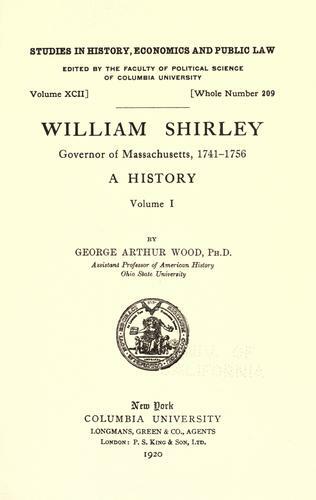 Published 1920 by Columbia university; [etc., etc.] in New York .